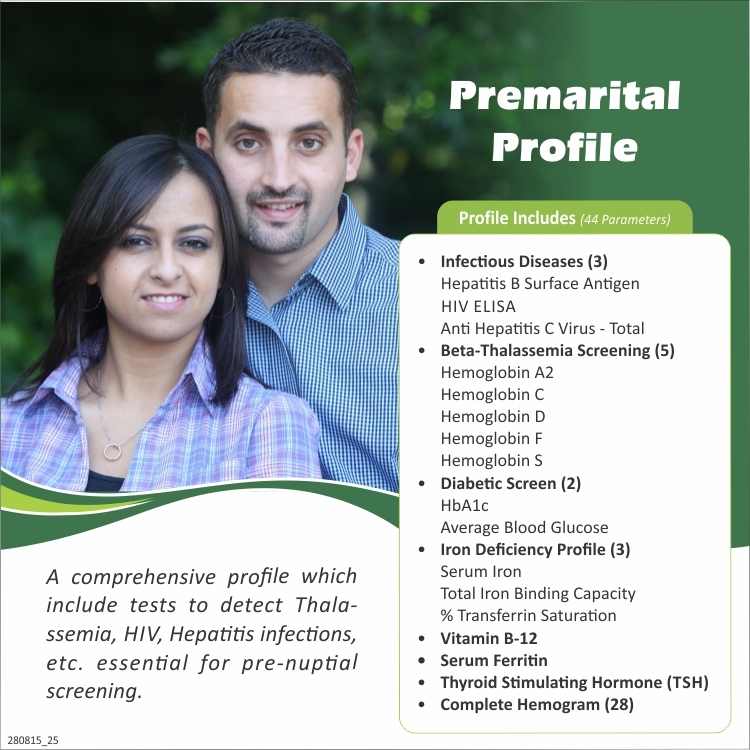 Pre Marital Profile consists of 44 important tests to detect thalassemia, Hiv, hepatitis infections, etc. You just need to pay Rs. 3200 Rs. 2200 per person to the person who will come to collect the blood sample.